British actor John Boyega has claimed 'Star Wars: The Force Awakens' feels like "another project"
John Boyega says 'Star Wars: The Force Awakens' feels like "another project". 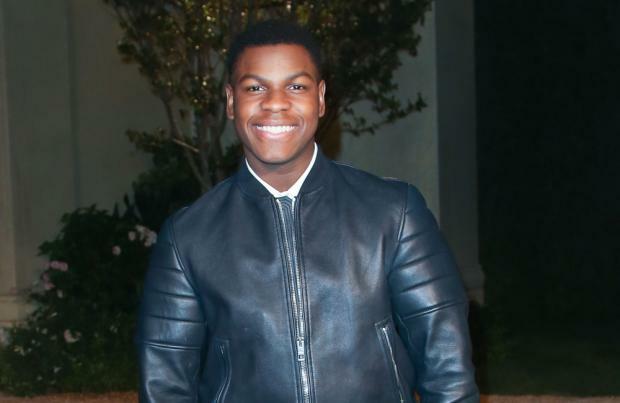 The 23-year-old Brit has been cast in the role of Finn in the eagerly-awaited new sci-fi movie and claims to be calm about its release, despite the huge expectations surrounding the movie. Asked whether he's nervous about the reaction, the London-born star said: "Nah, it's work. It just feels like another project." And John also insisted his nerves won't increase as the movie's release draws nearer. He told the Sunday Times newspaper: "Not at all. I'm excited. For me, my focus is seeing the film. Even though you're in it, you just don't know how it's all going to be put together." The cast of the J.J. Abrams-directed movie have been notoriously tight-lipped about the plot and as the release date gets closer, John remains reluctant to divulge too many secrets. Asked about his on-screen character Finn, he said: "He's in and out. You know? Freelance." John also teased a few other plot details, saying: "We have the First Order, led by Kylo Ren, then the Resistance - it's the aftermath of the war and the beginning of the new war."